Autochartist Market Reports provide a clear overview of the current trends across most popular trading instruments. 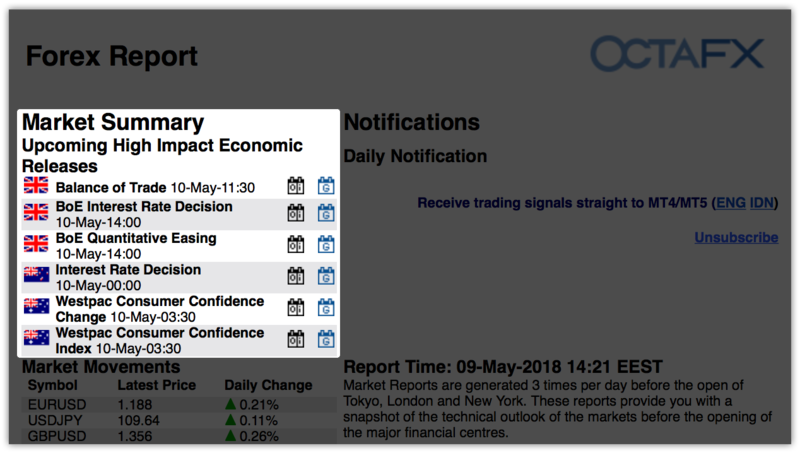 Delivered to your inbox at the beginning of each trading session, the reports can suggest which trade you should enter next or whether your current strategy needs an adjustment. Moreover, it provides significant time saving benefits in analysing the charts. At the top left corner you will find a list of all releases scheduled for the day. These reports are important as it is not uncommon for the market volatility to increase during the major news, therefore risk management techniques may be required in order to lessen risk exposure. “Market Movements” section provides an overview of recent price activity for a number of instruments: it shows the direction and the percentage of the price change during the last 24 hours. Daily change percentage is highly correlated with the news and reports - the price may appreciate, depreciate or change its direction completely after an important release. The actual price predictions are right below the “Market Movements” section. Each of them contains information about the expected price, the time during which the price will be reached, a short breakdown of the underlying indicators and the name of the pattern. Identified - date and time when the pattern emerged. 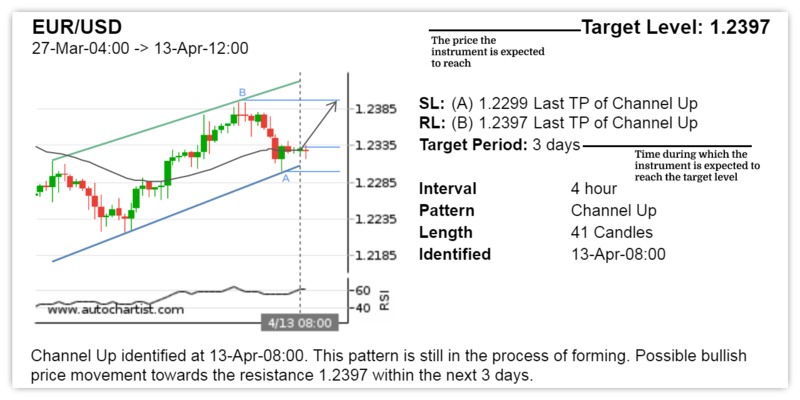 In this case the current EURUSD price is 1.23350. Within three days its price is expected to reach 1.23970. By pursuing this trading opportunity and opening a 1 lot EURUSD long (buy) position, you can potentially gain about 62 pips or 620 USD of profit. 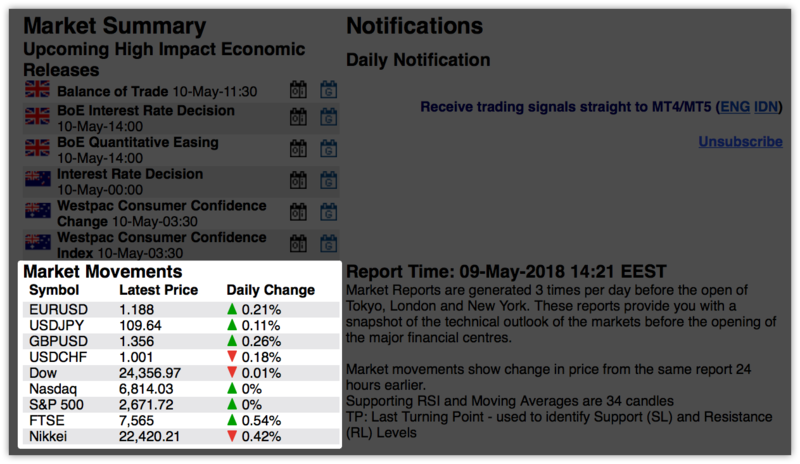 Currently estimated to be up to 80% correct, Autochartist Market Reports is a simple beginner-friendly tool that allows you to apply technical analysis to your trading with no effort or time required. In case you are interested in the Market Reports or signals in general please feel free to contact our customer service.